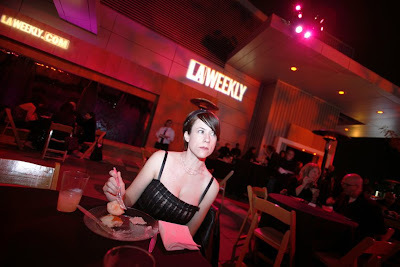 The LA Weekly held it's 30th year anniversary party last Saturday night at the new Grammy Museum at L.A. Live. 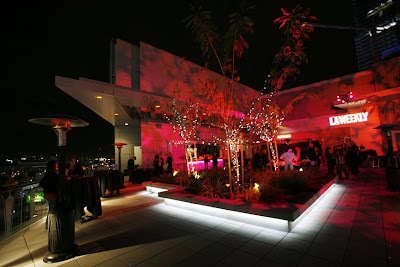 The event was successfully catered by Wolfgang Puck. 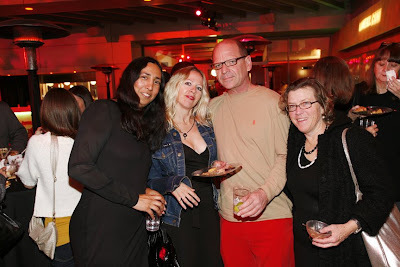 Wolfgang's famous pizza was served along with roasted turkey, a mashed potato bar, and an amazing cupcake dessert bar. 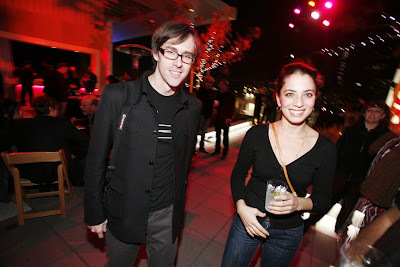 Many old LA Weekly alumni were in attendance along with the current employees. The Grammy Museum was open to the party, showing off the new huge interactive touch screen displays with music, hand written sheet music, costumes, and musical instruments. A must see for any music lover. 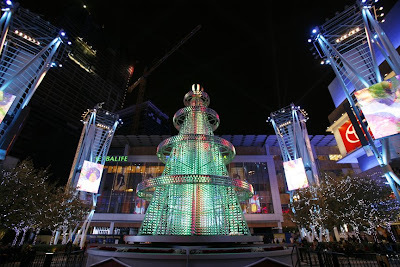 The L.A. Live Nokia Plaza was also opened to the public and featured a 50 foot tall electronic Christmas Tree.